Smart Transform for the exploration and appraisal lifecycle helps deliver the full business value of integrated geoscience and engineering workflows. …ultimately driving organic reserves replacement with economical exploration success. 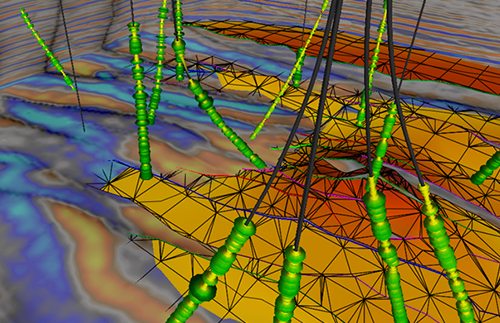 Landmark provides an environment for optimizing the Exploration and Appraisal lifecycle based on the DecisionSpace Platform which enables exploration teams to leverage the science and data required across the lifecycle. The following packaged services use the Smart Transform methodology to help companies take full advantage of the power of DecisionSpace® Geosciences 10ep. - Description: Generate a portfolio of geoscience workflow opportunities that could have the biggest impact on your business. Develop a roadmap for how to implement them by prioritizing quick wins and the highest potential return on investment. - Description: Define the first workflows(s) to deploy, and configure the software while managing communication and engagement with all stakeholders.